This pretty purple ice cream gets it beautiful color and delightful flavor from fresh, ripe plums. 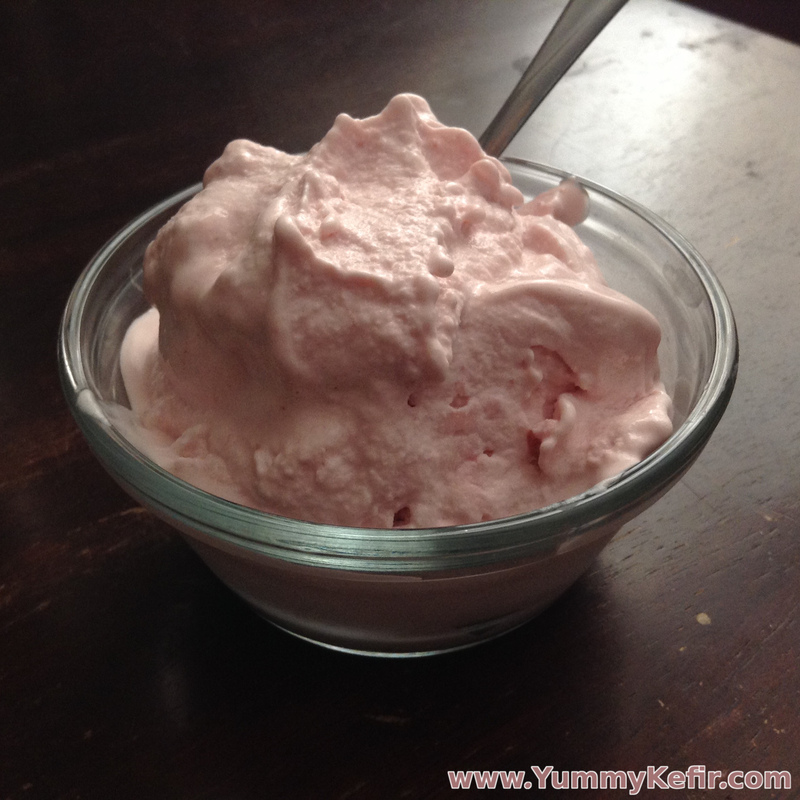 If you are looking for a great way to use up some of your plum harvest, look no further than this wonderful plum kefir ice cream! Take 1 pound of fresh, ripe plums. Blend the plums into a pureé. Strain the blended fruit to remove the skins. Combine all ingredients in a blender and blend until the sugar is dissolved. Taste the ice cream base, it should be sweet. Add more sugar if your plums were on the sour side. Use the base in your ice cream machine according to its instructions.